Once upon a time, achieving the perfect lawn required patience, hard work and more than a little luck. If you weren’t green-fingered or your garden didn’t receive the right amount of sunshine and showers, you’d end up with patchy, yellow or muddy turf. But today, creating the lawn you’ve always wanted can be as easy as rolling out some artificial grass. If you like the idea of incorporating synthetic turf into your garden design but aren’t sure whether it’s definitely the right option for you, this guide will help you to make a well-informed decision. Artificial grass design and production techniques have come on in leaps and bounds. 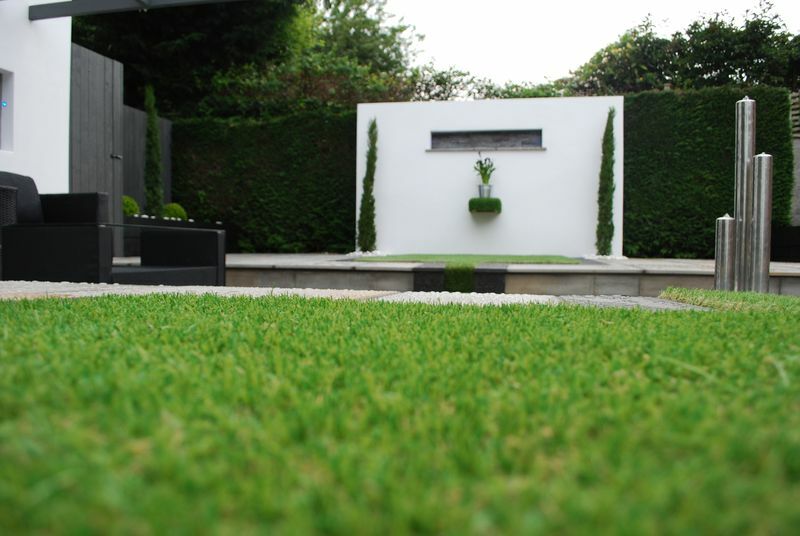 The Grono artificial turf we install is high-quality and highly realistic. As you can see from these photos of a chic garden we’ve created, the artificial lawn looks virtually identical to actual grass. The combination of natural-looking variations in colour and a simulated dead grass thatch is the key to achieving an authentic appearance. What Does Artificial Grass Feel Like? Two major benefits of the latest artificial grass styles are that they feel similar to living turf and are comfortable underfoot. If you enjoy walking barefoot outside, choose synthetic turf with a long, dense pile. Grono’s Premier Plus 40mm luxurious artificial grass offers optimum softness. The artificial grass we install has an impressive ten-year guarantee. You can be confident that it’ll still look fresh when real grass might well be looking its age. A synthetic lawn is nowhere near as vulnerable to harsh weather as living turf. It looks lush all year round, is fade-resistant and durable. As its lifespan can exceed that of a traditional lawn, artificial turf is often a cost-effective alternative to natural grass. It’ll stand the test of time, so you can enjoy it for years to come. Is Artificial Grass Suitable for Children and Pets? 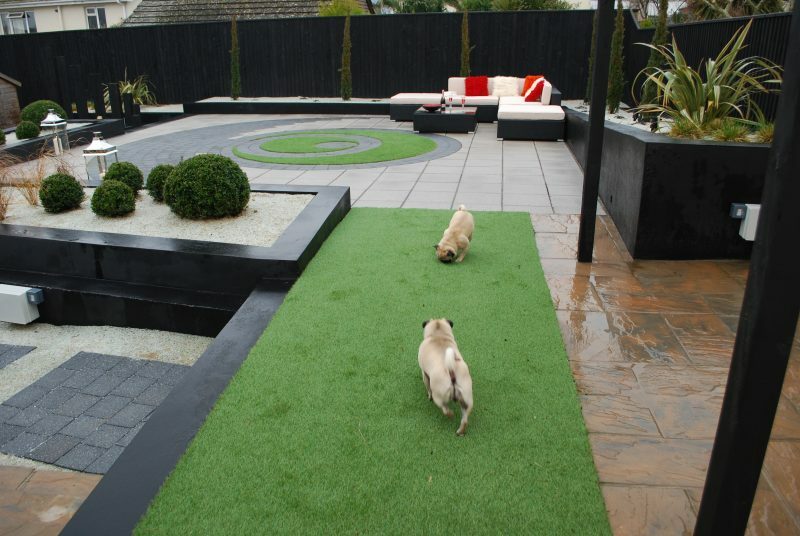 We only install child-friendly, pet-friendly artificial grass. Your synthetic lawn will provide your whole family with a safe, pleasant outdoor environment. We can also add shock pads to make the ground around kids’ play areas even safer. These pet dogs are having a great time on their artificial lawn! You won’t need to worry anymore about little feet and paws bringing mud into your home. You can say goodbye to holes in the lawn and canine urine burns too. Does Synthetic Turf Require Much Maintenance? Artificial grass is ideal when you want a low-maintenance garden. It’s perfect for people with busy jobs, limited mobility or holiday homes, as well as for the elderly. You can enjoy more spare time, because artificial grass doesn’t need mowing, weeding, watering or fertilising. The maintenance required is straightforward. Use a stiff brush to remove fallen leaves and reinvigorate the grass, hose away any spillages, and keep the turf clean with artificial grass disinfectant. Avoid inferior products that require a sand infill to make the blades stand up. We never use them, not least because they demand more maintenance in the form of regular re-sanding. Is Installing Artificial Grass Difficult? Laying a synthetic lawn involves removing old grass and soil, installing edgings on a concrete bed, adding an anti-weed membrane, sub-base and sand, and securing the new turf. That’s daunting if you don’t have landscaping experience and requires specialist equipment. For best results, enlist the help of professional artificial grass installers. We’ll fulfil your lawn’s potential by taking into account drainage requirements, edging restraints, visual impact and other crucial considerations. In a nutshell, high-quality artificial grass looks just like the real thing while being immune to problems that plague living lawns. It’s an asset to any home. Our Devon artificial grass service encompasses design, supply and installation. Why not get in touch to discover how we can help? 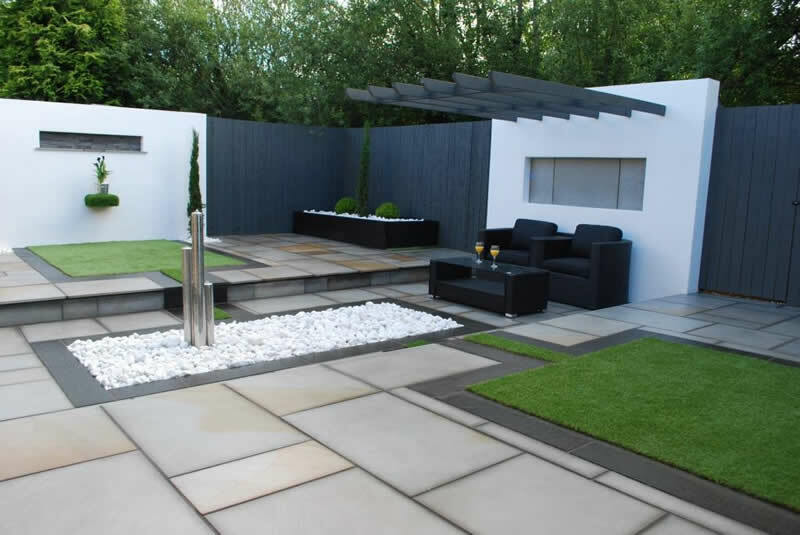 For a stunning artificial lawn, please call Jackson’s Landscape Design today on 01626 332533 or contact us online.